Nettl’s bespoke Datasym till integration keeps stock in sync between Datasym’s stock keeping tool Stockade. Stockade can be connected to multiple tills in multiple locations. 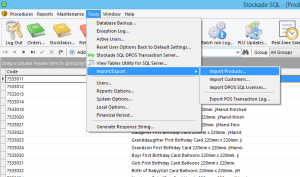 It allows a store owner to manage and transfer stock between the different locations. The website integration acts as another sales channel that can have stock allocated to it, or transfered from a retail location. Online orders automatically lower the stock kept within Stockade. Cancelled orders automatically add the taken stock back to Stockade. 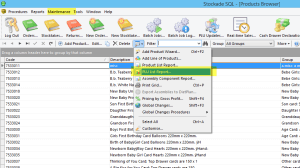 Stock levels on the websites are automatically downloaded from Stockade every 30 minutes (or more frequently if required). Stock levels can be also downloaded manually. Products can be downloaded from Stockade to the website. 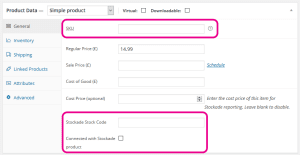 Products can be uploaded from the website to Stockade. 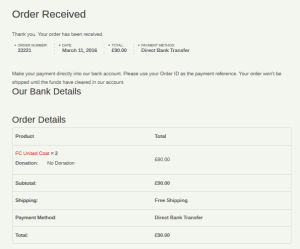 Unlike our Epos Now integration, website orders are not sent into Stockade to be completed within the till. 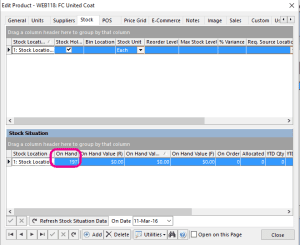 However, you can run a stock history report to see stock movements as a result of website orders. Whenever an order is placed online, the quantity of products ordered online is sent to Stockade and the stock is reduced accordingly. The stock levels are only reduced after an order is placed or made online. If an order is rejected, the stock is returned to stockade. To set up the integration, Datasym will set up something called a WebService that Nettl’s website integration can connect to. Using this WebService, Nettl can download products from the till to the website or upload products from the website to the till. We can also sync the stock levels of products from the till. 2) Products in the website to be linked to products in the till, so we can tell what stock to update. If products are uploaded or downloaded, we will create the links automatically ensuring products are always paired. 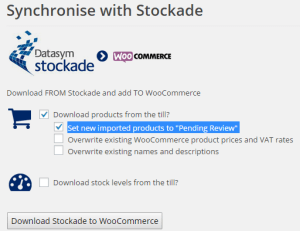 We recommend using our product uploading till from WooCommerce to the Stockade till, especially if you use product variations. When product variations are uploaded to the till, the variations are created as seperate products in the till. However if products from the till are downloaded, variations will not be grouped so will need to be deleted and re-created in a web-friendly manner. 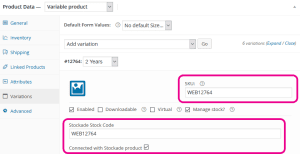 Note after we upload a product, we will automatically create a new connected product in Stockade. 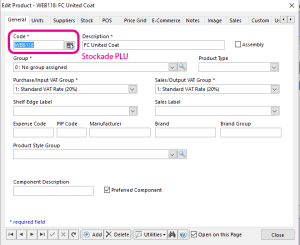 We use the website product’s current SKU for the Stockade PLU if there’s one set, otherwise we create one starting with “WEB”. We only upload products and variations that don’t already have “Connected to Stockade product” ticked. Although we upload an opening stock level from the website, ongoing stock management should be done within Stockade. The website updates to get stock from the till but the till isn’t updated when stock is changed within the website. 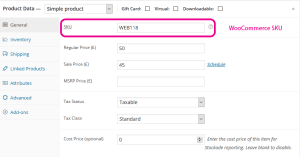 If you want to keep some prices different for products in the website and your till, leave the price option de-activated. 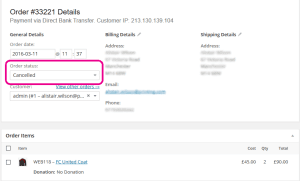 Also it is possible you may want to choose different names and descriptions within your till to your website, in which case don’t overwrite your existing Stockade names. In Stockade, go to maintenance, products. 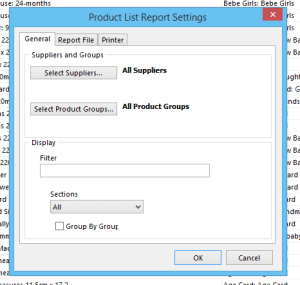 From the products browser select the small utils button and run the Product List Report (this needs to be setup by Datasym). 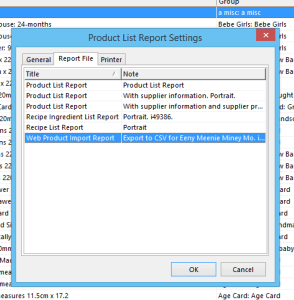 The report will be shown to screen and the export button (highlighted in yellow) can be used to create an editable CSV. You can choose to view the log to see the results of the import. Check a product you have modified to ensure you are happy that changes have been made. Changes should go to the tills in close to realtime if this feature is enabled. Above shows the additional PLU having been imported via the routine. Next go to Products > Edit review all the products that are currently set to pending review, add an image, web-friendly description and choose the categories they should belong to. 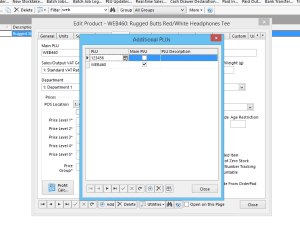 If you want to have product variations, you’ll need to delete the auto-downloaded product and will then need to link it manually after the download. The next section explains how to link manually. Whilst we don’t recommend this, products can be linked manually.